Looking for Mr. Right for your broodmare? The 18th Annual Colorado State University Online Stallion Auction offers breedings with 49 stallions, including some of the country’s top American Quarter Horse sires. The auction began Jan. 3 and runs through Jan. 16 on the CSU Stallion Auction webpage. 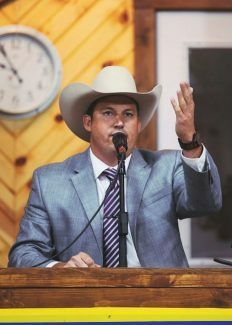 The service auction features well-known winners in barrel racing, cow horse, cutting and reining competitions — as well as sought-after sires of working ranch horses. All proceeds help improve horse health by funding research and veterinary education at Colorado State’s renowned Equine Reproduction Laboratory and Orthopaedic Research Center. 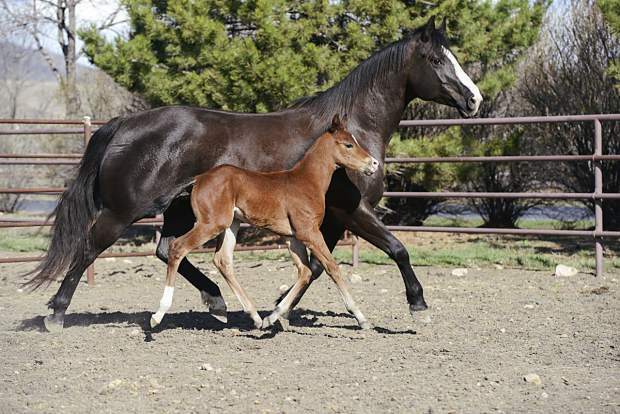 “We’re pleased to offer breedings with a variety of top-quality American Quarter Horse stallions that will produce terrific foals for all types of Western performance competition or ranch work,” said Jerry Black, a veterinarian and director of both the CSU Equine Reproduction Laboratory and the university’s Equine Science Undergraduate Program. The auction’s premium sires include: One Time Pepto, a $10-million sire and 2015 NRCHA No. 4 All-Time Leading Sire and 2015 NCHA No. 5 Leading Sire; Metallic Cat, whose offspring record exceeds $10 million; Woody Be Tuff, sire of four Open Champions in three foal crops, including NCHA Futurity Co-Champion CR Tuff Hearted Cat; Frenchmans Guy, more than $10 million sire and seven-time Future Fortunes leading sire; and Slick by Design, a three-time NFR barrel-racing qualifier, winning 11 WPRA Rodeo Championships, AQHA Champion and Fort Smith Derby Champion. About 120 bidders participated in last year’s auction, generating nearly $50,000 for CSU equine programs. Auction earnings support teaching and research conducted by the CSU Equine Reproduction Laboratory, which provides clinical services and works to improve equine reproductive health; and the CSU Orthopaedic Research Center, a pioneer in improving the diagnosis, treatment and prevention of equine musculoskeletal disease. “This auction helps breeders improve their genetics, while also supporting CSU research that ultimately improves the health of the horse,” Black said. Bidders may register on the auction website; bids do not include chute fees, booking fees or associated reproductive and veterinary costs. For more information, call (970) 491-8626 or email erl@colostate.edu.